We already discussed the basics of the art of SfN conferencing in a previous post, but let’s add meat to the bones. At this meeting – my first SfN meeting – I learned preciously little of scientific value. But I did learn a lot about what not to do, and how to completely exhaust yourself for no good reason whatsoever. I am sharing this story with you so that you can learn from my mistakes (instead of making them for yourself). 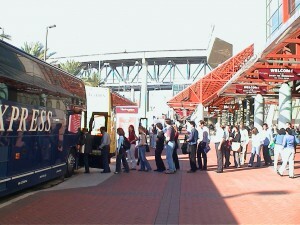 Typical SfN shuttle. New Orleans 2003. Going forward, this false start did negatively impact the entire conference experience. As already alluded to, our new place was rather far from the convention center. Having to wait for the shuttle (which kept an erratic schedule, as far as I could tell), waiting for it to pick up all the people on its route and slowly making the trek to the convention center necessitated rising at an ungodly hour in order to make the morning sessions in time. The same thing applied in reverse in the evening, when everyone rushes out to board the shuttle back to the hotel. As this was my first SfN meeting, I was well in over my head anyway, and these transit logistics ate into valuable time. [Note 4: If at all possible, I strongly recommend staying within walking distance of the convention center. I cannot emphasize this enough. It doesn’t have to be the fanciest hotel, it doesn’t have to be single rooms. So what if the place is not the Ritz? I’ll only use the room to sleep anyway, perhaps for 6-7 hours a night, on average. So what if there are 4-6 people in one room? As long as it is close and affordable, it is all good. The hotel room is the last place where you want to spend any time during the conference. Regardless of anything else, I have religiously observed the “stay-within-walking-distance-at-SfN policy ever since. I am happy to report that cutting down on transit time really makes a difference. This poses somewhat of an ethical dilemma. Given the scope of SfN, not everyone can stay next to the convention center. There is simply not enough room. I am convinced that the society is trying to do their best to provide affordable housing to the masses of attendees, and provide free shuttles to and from the meeting. But that does not change the fact that distance matters. SfN implicitly agrees with this. The headquarter hotel is typically across the street from the convention center. The bad news is that this does matter and that I am pointing this out a little late. The good news is that there is always a next meeting (it pays to be organized), that the clustering of conference hotels in San Diego is advantageous this year (there are only 4 clusters – Downtown, Harbor Island, Mission Valley and Shelter Island, with the bulk of the hotels being downtown (where the distance to the convention center is quite manageable by walking. Speaking of walkability: San Diego downtown is not bad, as far as US cities go: Walkability of downtown San Diego)), and that you – now that you committed to a hotel will probably end up liking it anyway. The literature strongly suggests this, even if the reasons are contested). 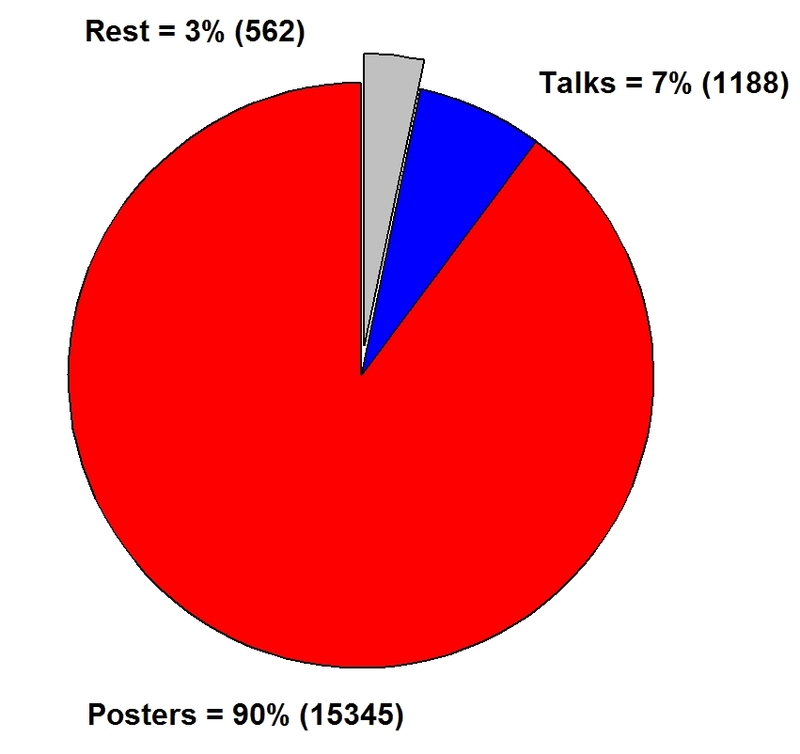 My basic plan during that meeting: Visit two morning sessions of talks (8 to 11 am, catching 12 talks, then go to two poster sessions from 11 to 12, catching another 20 posters. Then lunch, then doing the same in the afternoon session for a total of 24 talks and 40 posters/day, then go to the evening lectures. Trying to implement this overly ambitious plan was a complete and unmitigated disaster. Sure, I did see a lot of potentially interesting stuff, but understood little and retained next to nothing (in terms of specifics that could aid my research in the long term). The logistics also proved prohibitive. Short-changing the poster sessions like that was a disastrous mistake. Most morning talk sessions end around 11 am; in other words, I was not the only one who had the idea to hit the posters at that time. To say that the poster sessions were crowded would be a gross understatement. Hurrying from poster to poster, not being able to talk to the presenter either because of the huge crowd (at popular posters), or because the presenter had given up at that point (at unpopular ones) defeated the entire purpose of attending a poster session in the first place. The whole point of visiting a poster is that you can interact with the presenter. In other words, while technically “hitting” all the posters on my long list (actually, there were some no-shows, about 4-5%), I got very little out of the poster sessions. 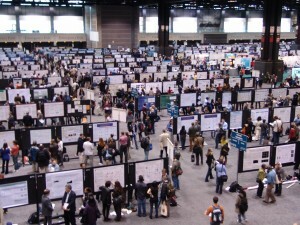 Now, make no mistake: The poster sessions are not some kind of afterthought. Quantitatively speaking, the posters ARE the meeting. If you miss out on the posters, you are missing out on the meeting. The quantitative structure of the meeting is quite striking (see figure). To clear up some confusion about talks: “Talk sessions” at SfN were previously known as “slide sessions”. Recently, SfN changed the nomenclature (for reasons that are not entirely clear to me) to “Nano-symposia”. For all intents and purposes, this is merely a change in label. So if you are re-visiting SfN after a hiatus of a couple of years don’t be confused what happened to the talks. They are still here. In a sense, the relabeling is apt – at SfN, no one has given a presentation using actual slides in a very long time. Slides. They went the way of the rotary phone and the Dodo, but they *did* exist. I would like to use this opportunity to introduce the notion of “pico-symposia”, to really streamline things. This would be suitable to accommodate talks that explicitly deal with very straightforward theoretical questions, such as “what is the effect of x on y?”. Each pico-symposia would last for 3 minutes: 1 question slide (“What did we want to know?”), 1 methods slide (“What did we do”? 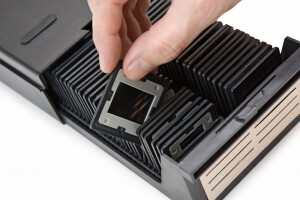 ), 1 results slide (“What did we find”?) No affiliation and acknowledgments slide, no background slide, no discussion/interpretation slide (let the audience make up their own mind what the results mean). 1 minute Q&A (1 question). If TED can do it, why not SfN? There is much more to be said on how to have a successful SfN, e.g. about non-poster/talk presentations, but this post is already getting way too long, so I’ll farm it out to yet another post on this issue. 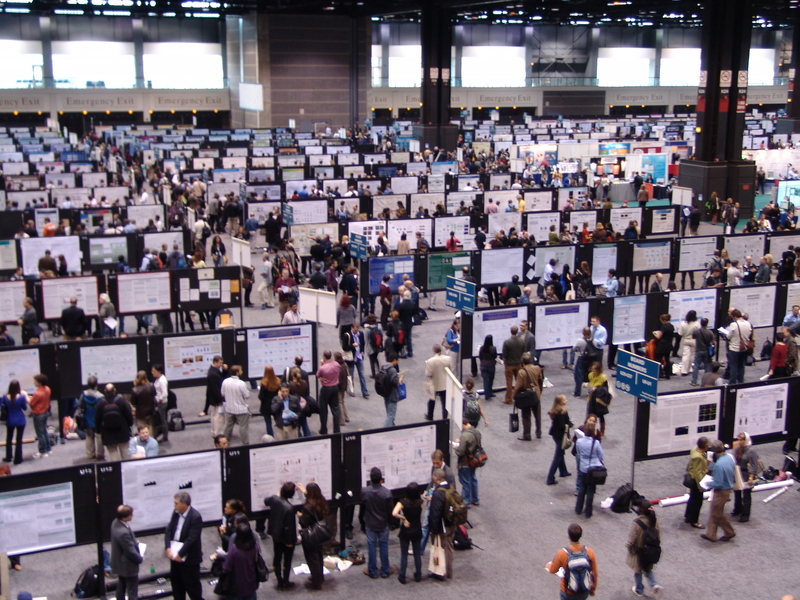 I am writing to request permission to use your photo ‘The view from above – Poster Session SfN Chicago 2009’ in a poster I am presenting at a teaching conference (Uplegess Strasbourg May 2015). My poster concerns a teaching project about a poster session we do with our students. I would like to illustrate our project with a photo of a real poster session (as well as photos of our student version). Sure. Glad you are fond of it. Hi Pascal, may I use your picture – the view from above – on a blog post on conference posters? Yes. With proper source credit, this is a permission to use it for you and everyone else who wants to use it. Thanks for the blanket permission. I’m using it in an assignment sheet for my first-year writing class, linking to this post as well. thank you for your two blog posts. They helped me mentally preparing for the annual meeting. Am looking forward to it.